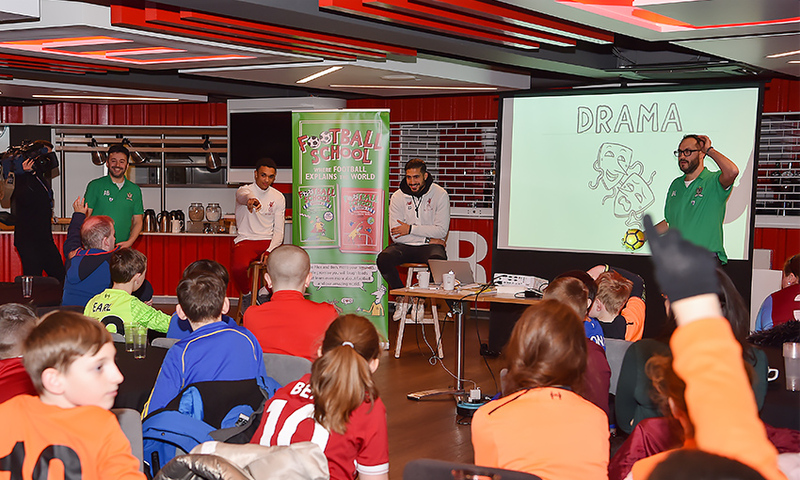 Liverpool FC's community programme, Red Neighbours, and the club's official charity, the LFC Foundation, teamed up with two renowned children's authors to celebrate World Book Day 2018 at Anfield this week. 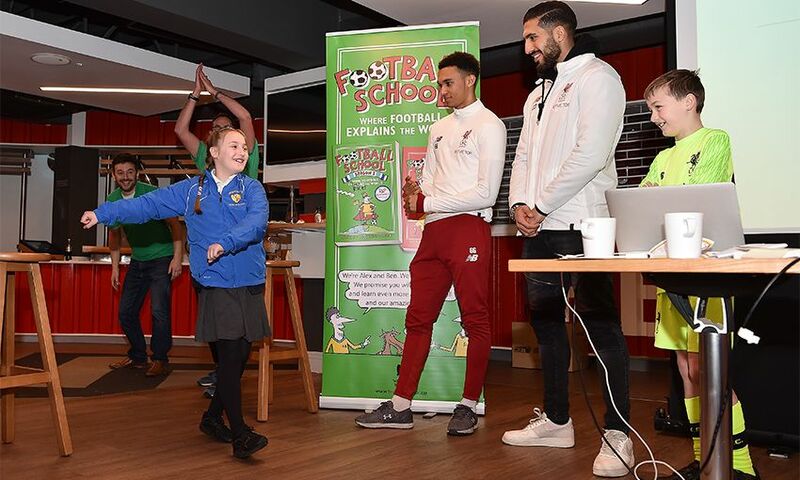 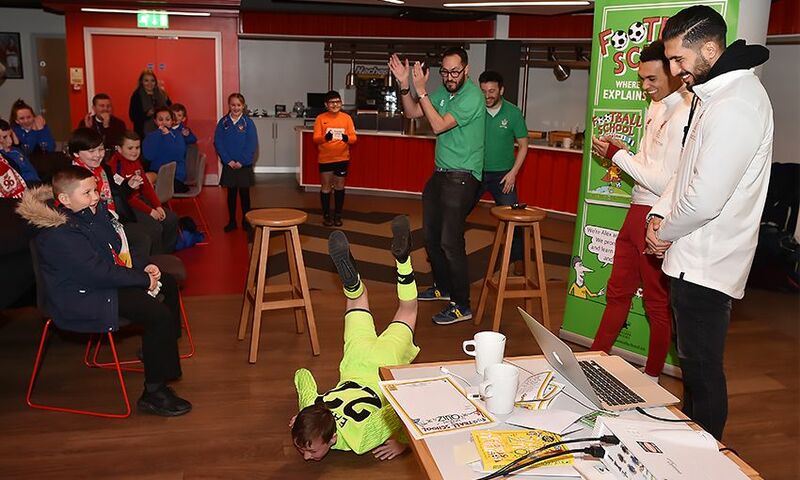 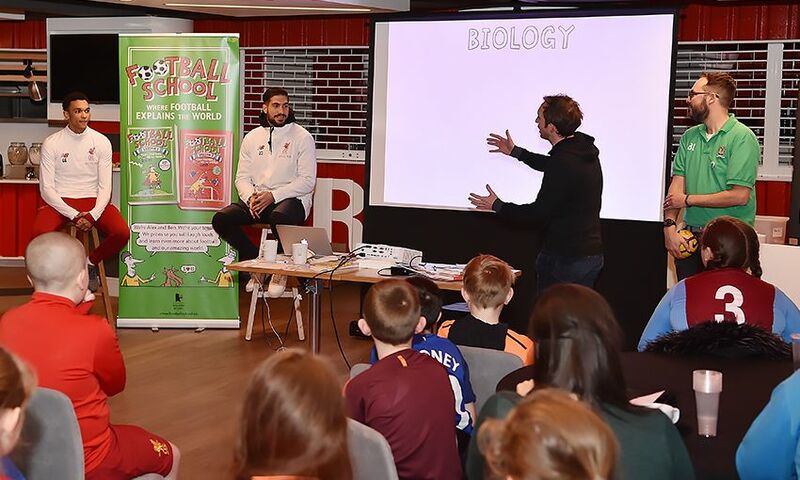 First-team stars Emre Can and Trent Alexander-Arnold joined Ben Lyttleton and Alex Bellos, creators of the Football School book series, to host a fun and interactive literacy event for 200 local pupils. 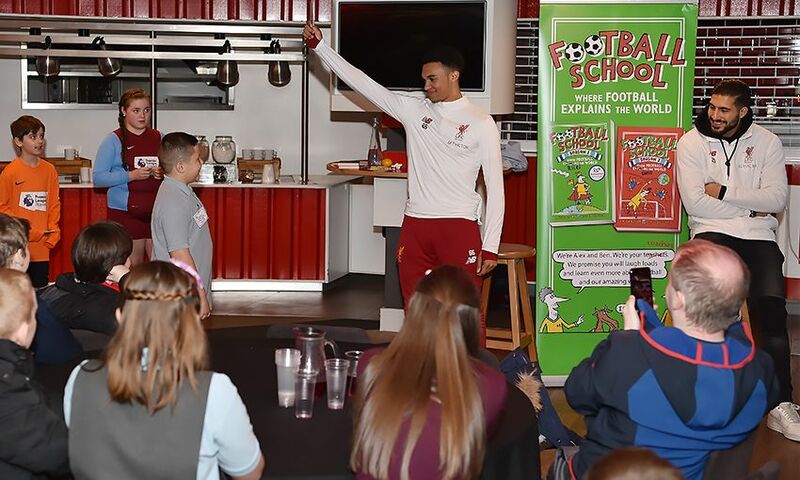 World Book Day takes place today - Thursday March 1 - in more than 100 countries, and aims to encourage children to explore the pleasures and benefits of books and reading. 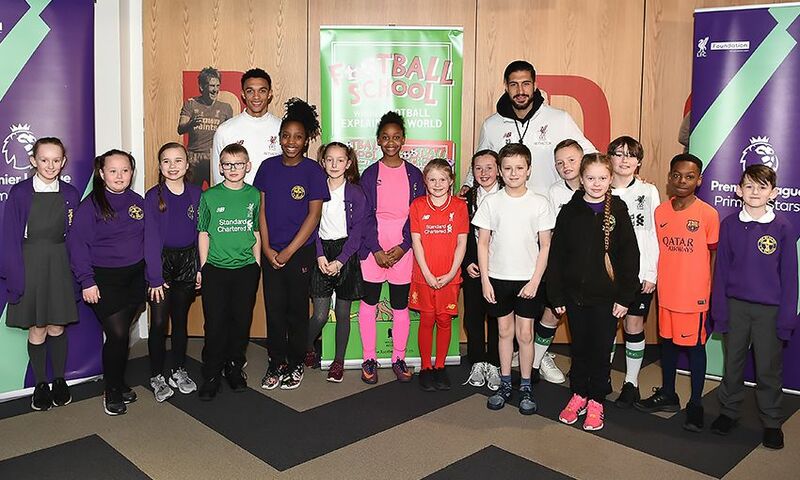 Youngsters from 12 local primary schools were invited to the stadium through Red Neighbours and the LFC Foundation, where they spent the day taking part in various football-themed activities - including quizzes, badge making and ‘football school’ lessons - as well as a Q&A session with the players and authors. 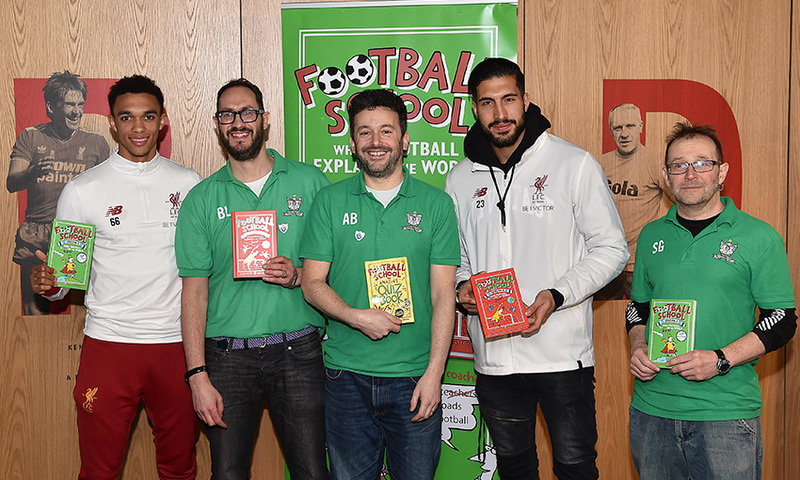 Can said: “It’s been fantastic to be involved in the World Book Day event here at Anfield and to help the children learn about the positives of reading. 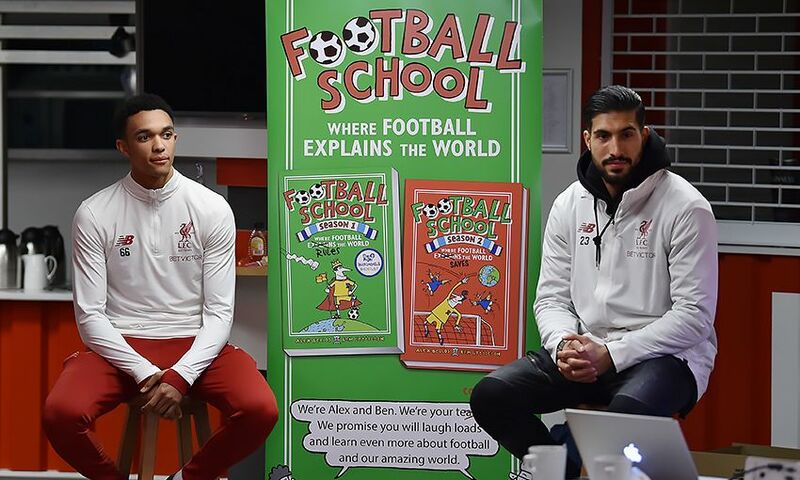 Lyttleton added: “We are passionate about helping children develop a love of reading and a curiosity about the world, and we believe that using football is an excellent way to encourage reluctant readers to pick up a book. 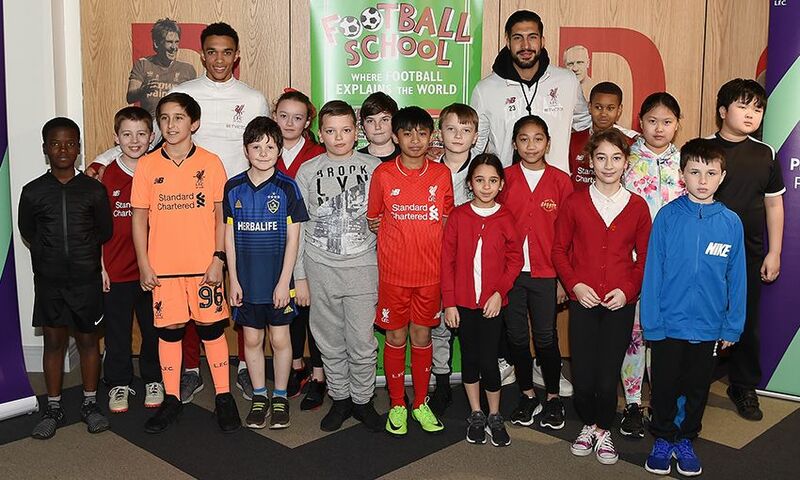 For more information on Red Neighbours and the LFC Foundation, follow @LFCFoundation and @Red_Neighbours on Twitter or visit foundation.liverpoolfc.com.